Every good mathematician is at least half a philosopher, and every good philosopher at least half a mathematician. Quoted, without citation, in 'Gottlob Frege', The New Encyclopedia Britannica (1992), Vol. 4, 968. If you know a primary source, please contact Webmaster. 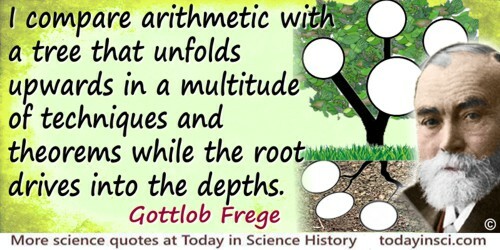 I compare arithmetic with a tree that unfolds upwards in a multitude of techniques and theorems while the root drives into the depths. Grundgesetze der Arithmetik (1893), xiii, trans. Ivor Grattan-Guinness. Not everything is an idea. Otherwise psychology would contain all the sciences within it or at least it would be the highest judge over all the sciences. Otherwise psychology would rule over logic and mathematics. But nothing would be a greater misunderstanding of mathematics than its subordination to psychology. In Elmer Daniel Klemke, Essays on Frege (1968), 531. In Manuscripts 2 (after 1879). As cited and translated by Ivor Grattan-Guinness in The Search for Mathematical Roots, 1870-1940 (2011), 177. 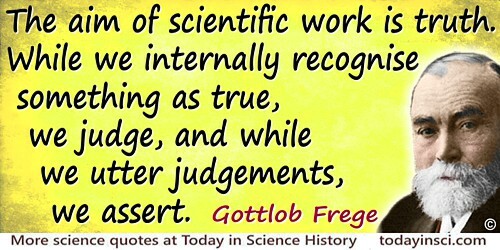 The work of science does not consist of creation but of the discovery of true thoughts. 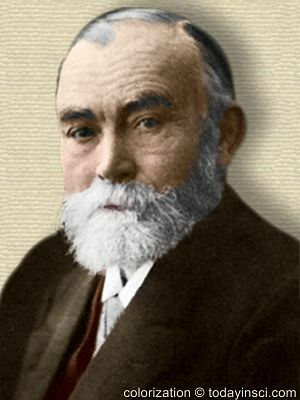 8 Nov - short biography, births, deaths and events on date of Frege's birth.